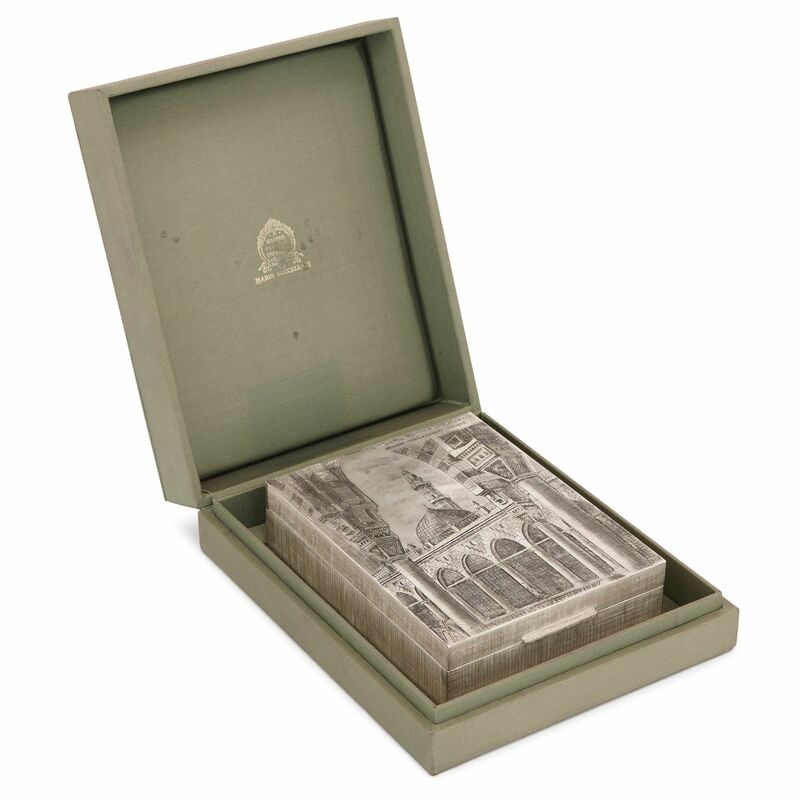 This beautiful silver box has been finely engraved with a depiction of the Prophet's Mosque in Medina, one of the holiest sites of the Islamic faith. 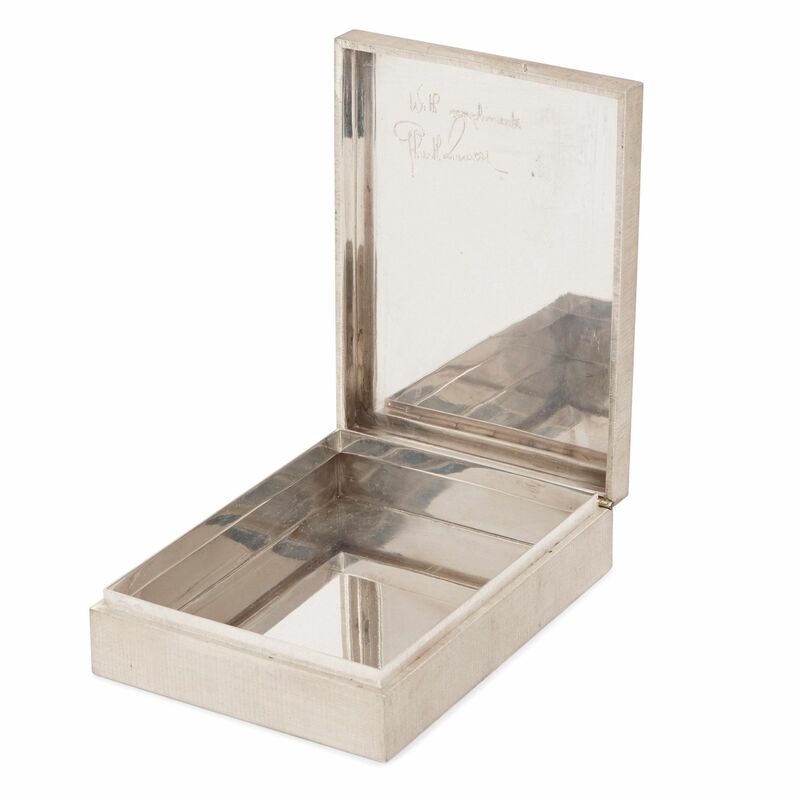 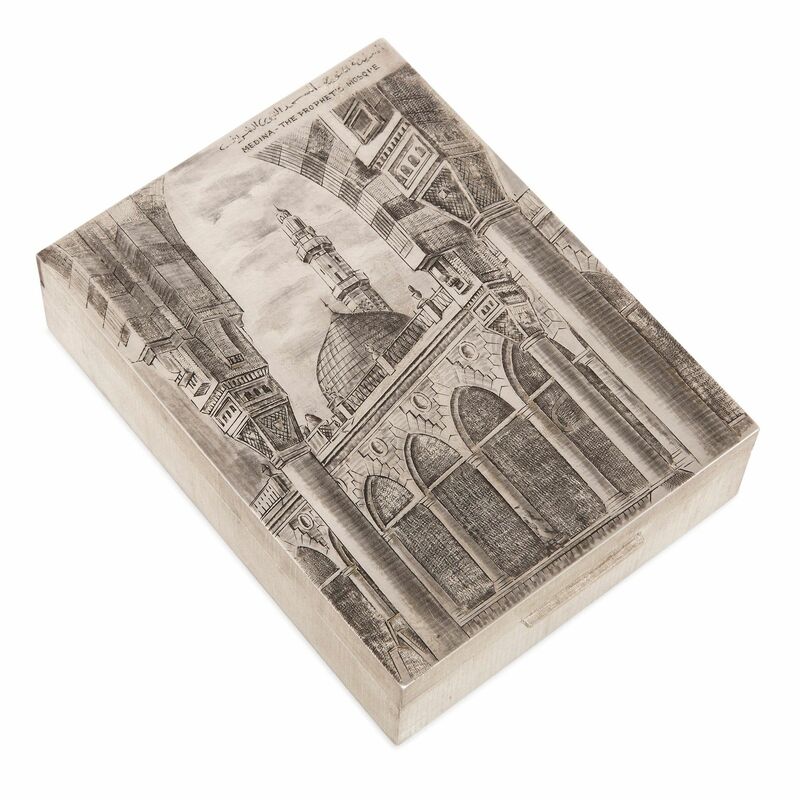 The textured and hinged silver box is rectangular in shape and features a finely detailed engraving on its front cover. 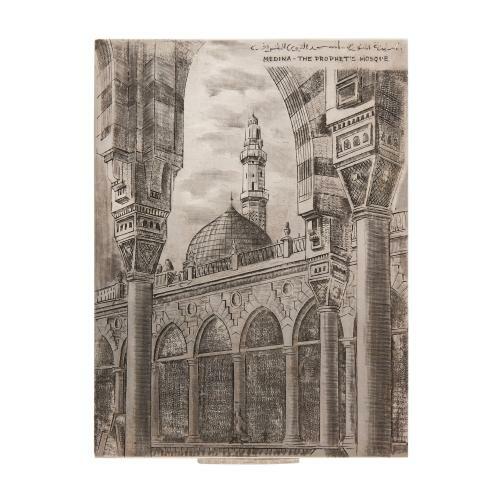 The engraving is titled 'Medina - The Prophet's Mosque' and shows a partial view of the mosque, in between two arches, and there is also an inscription in Arabic in the top right hand corner. 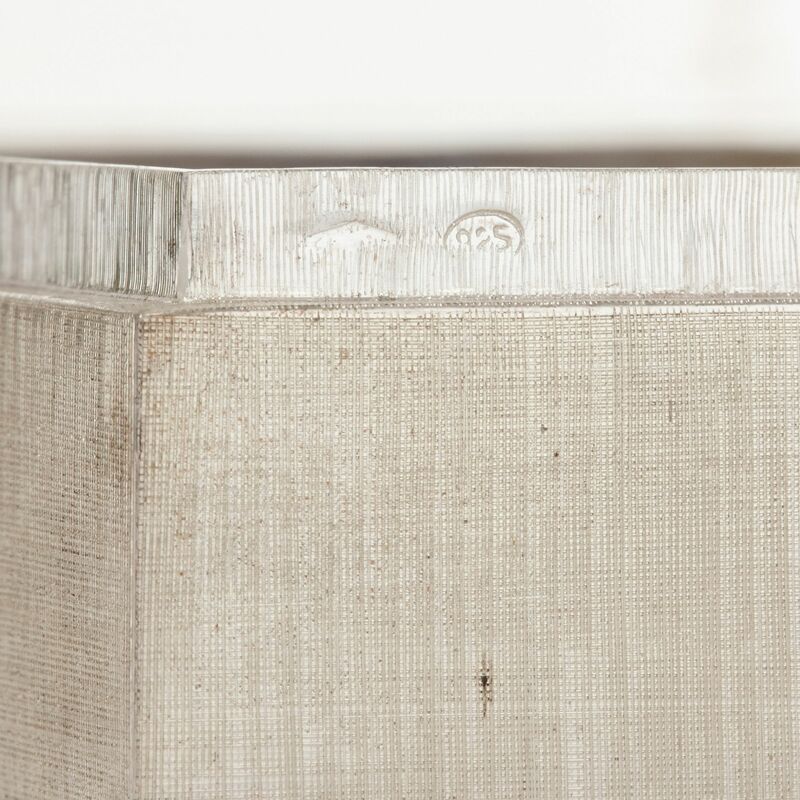 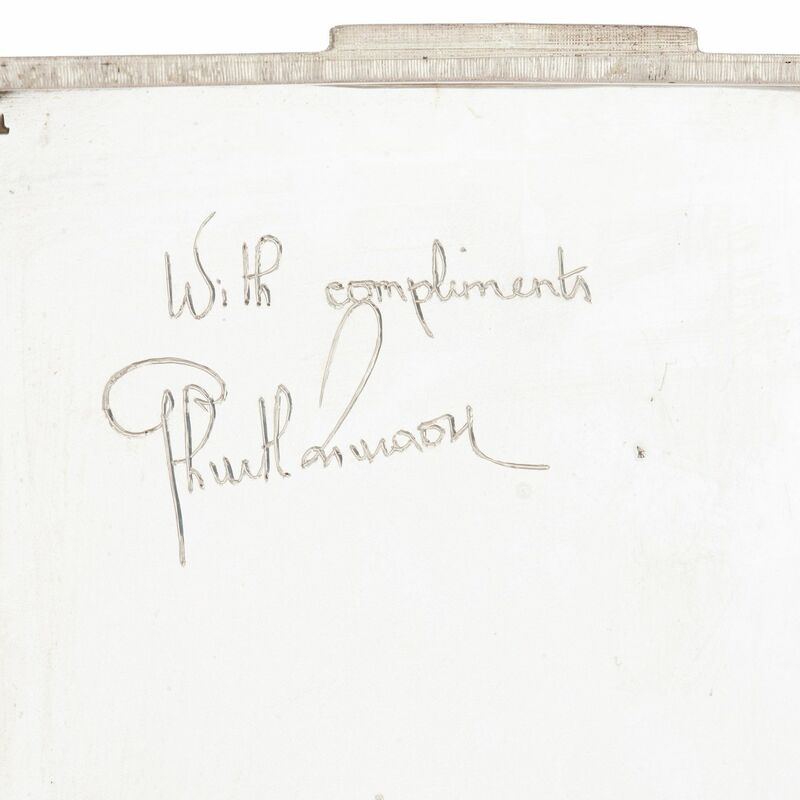 There are a number of other engravings and hallmarks on the box, including a silver mark, a maker's mark for Mario Buccellati on the underside of the box, and an unclear signature on the underside of the lid. 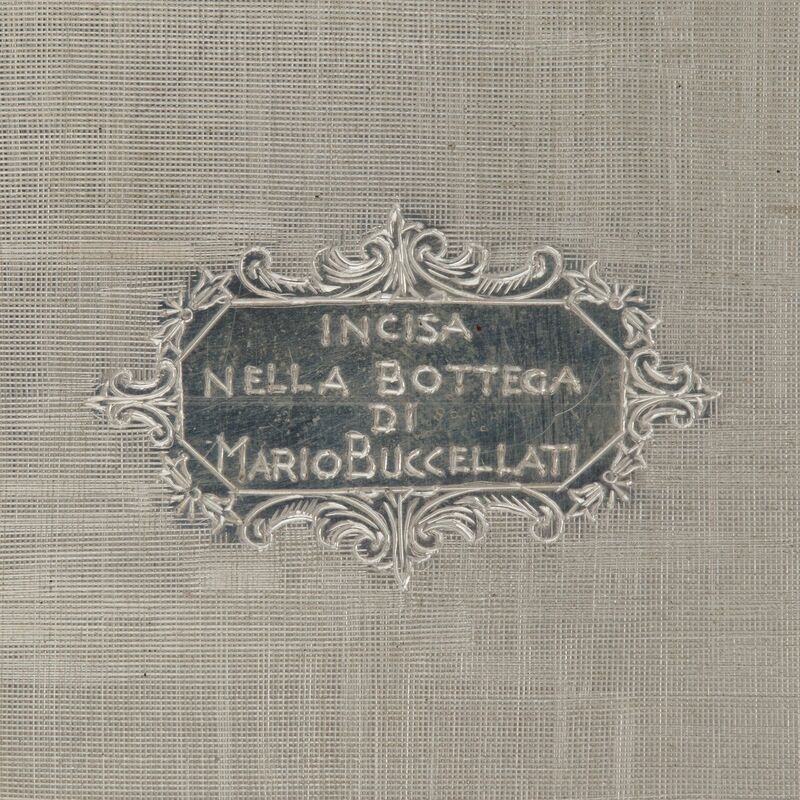 The maker's mark reads 'Incisa nella bottega di Mario Buccellati', or 'engraved in the workshop of Mario Buccellati'. 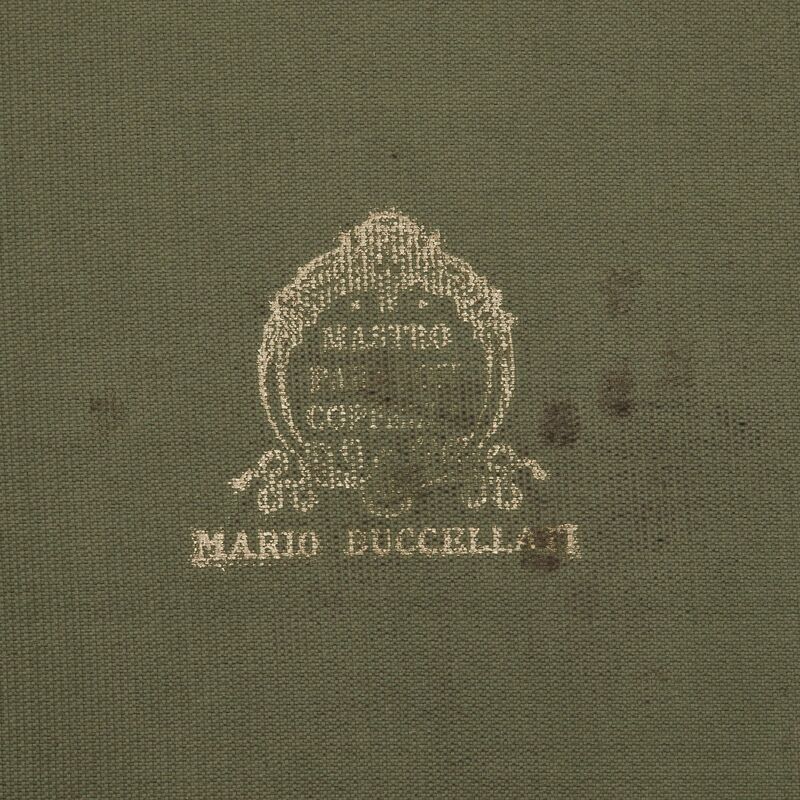 There is a further mark for Mario Buccellati on the green case which houses the box. 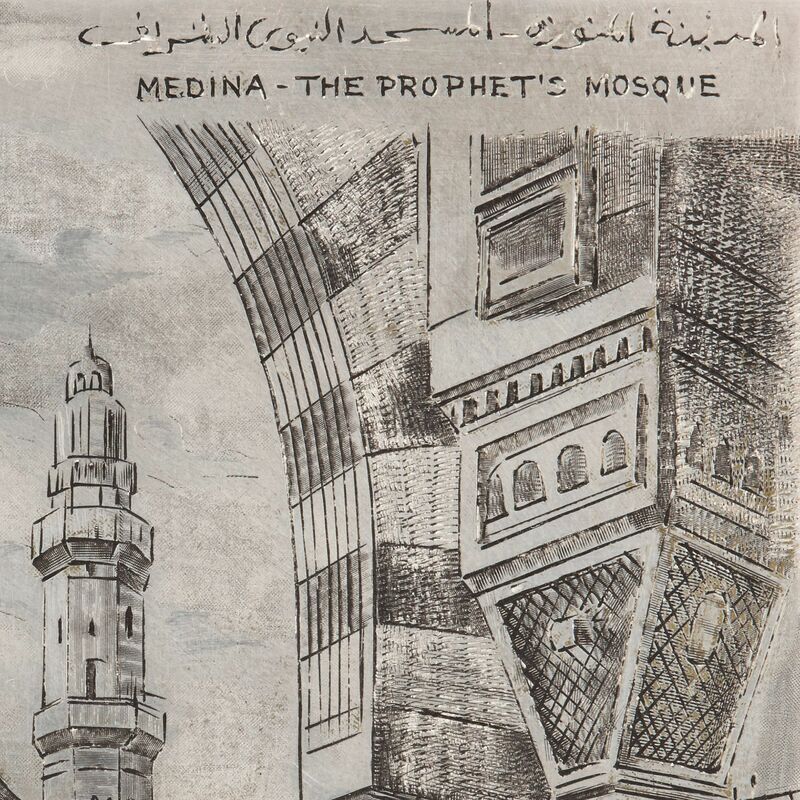 The Prophet's Mosque in Medina, or Al-Masjid an-Nabawi, was built by the Prophet Muhammad- the third mosque to be built in the history of Islam. It is the second most holy site for Muslims (the most holy being The Great Mosque in Mecca), and is the location of the tomb of the Prophet Muhammad.